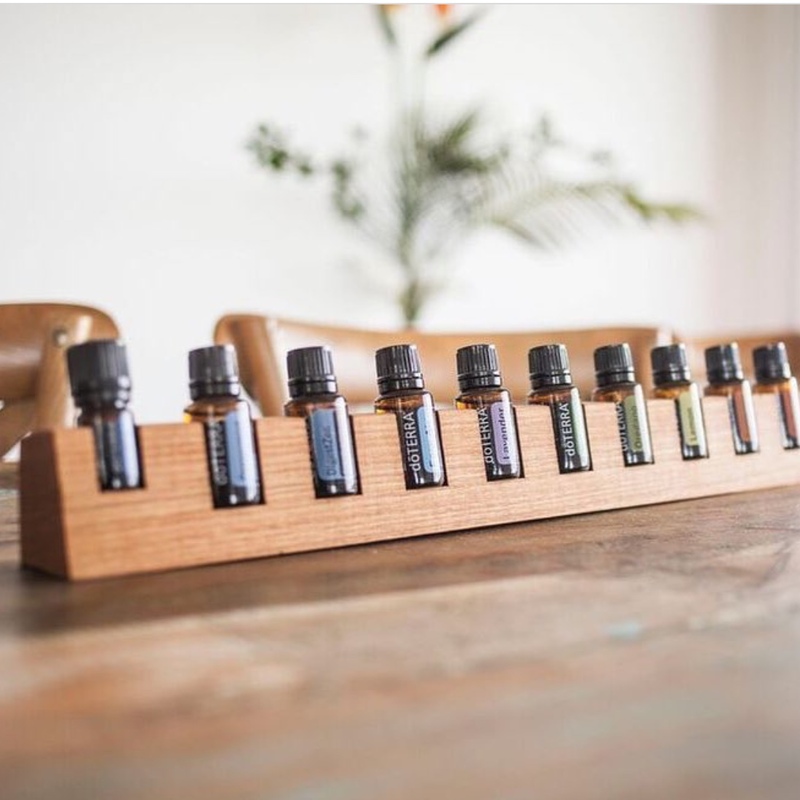 Essential oils in their purest form smell divine, however are you fully aware of just how powerful these natural essences can be to supporting your physical, emotional and spiritual wellness? Pure essential oils are extracted in a way that maintains the integrity of the life force of the plant. It is this essence that supports our own life force. Each plant has its own unique frequency that keeps it in harmony with all of nature. When we eat plants and herbs or inhale, absorb, ingest an essential oil we take on their energy (vibration) and in turn, it affects our own vibratory level. 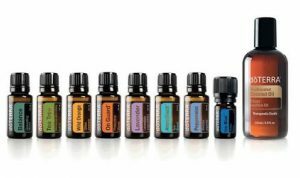 I have always loved essential oils however it’s really in the last 10 years that I have experienced oils at a deeper level. 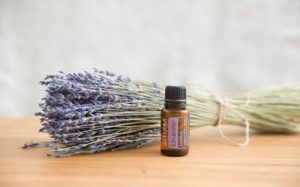 Here are just a few of the ways I use them every day – and of course, when you do incorporate essential oils into your life you can’t help but create a toxin free home environment. Aromatically – I diffuse and mist them in my home and office to create an environment that supports my intentions. 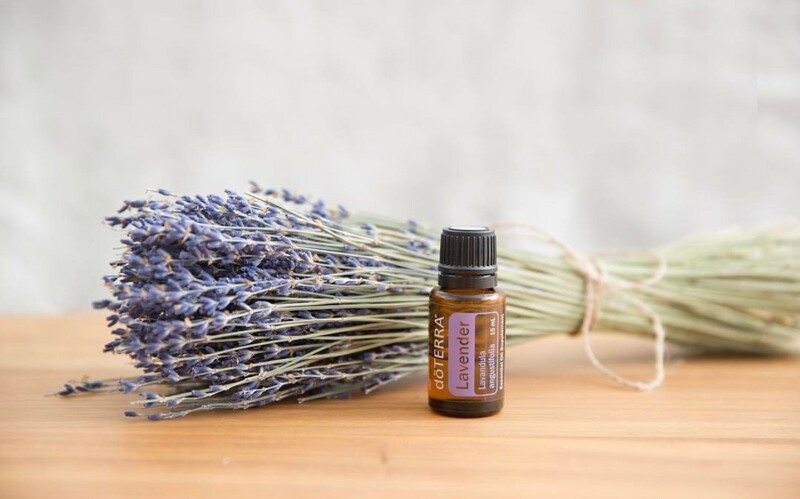 Essential oils may be used on their own or in combination with other oils to create calm and balance, inspire positive emotions, spark creativity, energise, promote relaxation and restful sleep. Topically – I use them direct onto the skin as well as diluting them in carrier oils like fractionated coconut or jojoba oils for massaging onto the skin. Ingesting – I use lemon essential oil in my morning water to create a cleansing morning elixir. There are many oils that can be used in cooking and oils that can be taken directly to boost the immune system. Cleaning – I use them to freshen clothes in the washing machine and as natural cleaning products. I use essential oils in place of pharmaceuticals for colds, viruses, headaches, hormonal imbalances, nausea and digestive issues and skin conditions. There are also safe oils that promote wellness for our pets. In my experience incorporating essential oils into daily life just makes life better. They work to boost the immune system, they support us emotionally, they integrate perfectly into self care and mindfulness rituals and they naturally create a positive energy vibe. 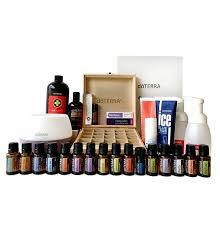 I use and recommend doTERRA oils for their purity and efficacy. 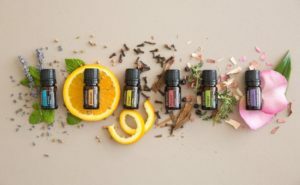 I would love the opportunity to help you choose the combination of essential oils that are best suited to you and your family. Please contact me directly via the contact page and/or take a look at some of the options available below to commence your journey with essential oils. If you are looking to buy just a single oil or you already know what you’d like to purchase please scroll down to the ‘HOW TO ORDER’ section below. When you order a kit you give yourself the opportunity to integrate oils into your life. You are also invited to join an exclusive community of women who are on a natural wellness journey together. 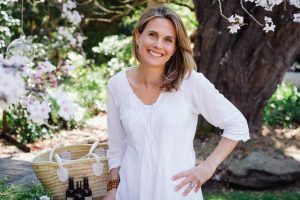 You will learn how to use your oils, replace your toxic cleaning products, create all-natural skin care products, strengthen your emotional health, balance your hormones, create a powerful natural medicine cabinet for your family, feel calm and stress-free and so much more… ask any questions you like, we are here to serve you! If you would like to start out by determining what is toxic in your home and what is not, I recommend downloading the Think Dirty app and scanning your products at home. There are many kits to choose from which you can view below to suit any budget and/or preference or, of course, you can build your own oil collection. KIT PRICE: $242 This kit saves you $80 off the retail price and includes a selection of 8 oils with a bottle of fractionated coconut oil. WHO ORDERS THIS KIT? This kit provides an effective way to use essential oils on the body. I would recommend to add the Petal Diffuser since diffusing oils is such a beneficial way to absorb oils aromatically ($58.00). THIS KIT INCLUDES: 15ml bottles of Balance, Tea Tree, Wild Orange,On Guard™, Lavender, Aroma Touch®, Peppermint, Ice Blue™ (5ml) and Fractionated Coconut Oil. 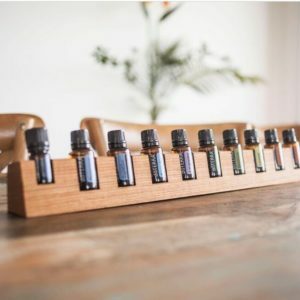 KIT PRICE: $330 This kit saves you $110 off the retail price and gives you the TOP 10 most popular oils that every home needs plus the Petal diffuser (runs for up to 4 hours). WHO ORDERS THIS KIT? This kit is for the person who wants to get their toes wet with essential oils and wants to have the top 10 most popular oils at their fingertips. They are ready to diffuse during the day to cleanse the air and keep their family healthy and they want to create a relaxed, serene environment at night. 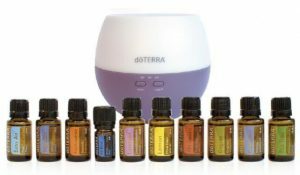 THIS KIT INCLUDES: Lavender, Easy Air®, DigestZen®, On Guard®, Frankincense, Tea Tree, Lemon, Oregano, Peppermint and Ice Blue® (5ml) as well as a Petal Diffuser, this is the perfect kit for those of you starting out on your doTERRA journey. KIT PRICE: $635 This is the best value enrolment kit that packs a punch in savings. The recommended retail price for all these incredible products is $1,124.42. As an enrolment kit, it costs you $635 + shipping, and includes your wholesale membership. That is a saving of $464.47! And, when you place an order of 100PV value or more the following month (approximately $120 worth), you will receive 100 free product points back to spend on whatever you like (over $100 value)! It is our MOST POPULAR starter kit and it is for a good reason. This perfectly packaged kit gives you all the foundational tools you need to revamp your wellness and care for your family. 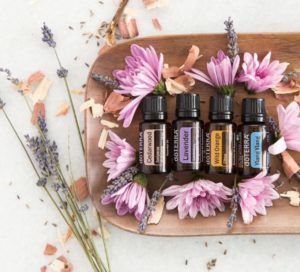 You get the oils that support a healthy immune system, promote focus and relaxation, support healthy joints and muscles, provide a mid-afternoon “pick me up,” and support a restful night sleep. You also get a taste of the OnGuard immune boosting line, the Deep Blue rub, the Petal diffuser and a perfect wooden box to store your oils in. THIS KIT INCLUDES: DigestZen®, Purify®, Tea Tree, Oregano, AromaTouch®, Frankincense, Lavender Peace®, Easy Air®, Citrus Bliss®, Lavender, Lemon, Peppermint, Smart & Sassy®, Lemongrass, On Guard®, PastTense®(10ml), Clary Calm® (10ml), Ice Blue® (5ml), Ice Blue Rub®, Correct X®, Fractionated Coconut Oil, Easy Air Vapour Stick, Petal Diffuser, Wooden Box, On Guard® Cleansing Toothpaste, On Guard® Foaming Hand Wash (with 2 dispensers), On Guard® Beadlets, Introductory Packet. KIT PRICE: $310 This kit you will save you $103 off the retail price. WHO ORDERS THIS KIT? 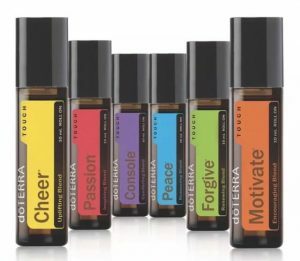 With six proprietary essential oil blends representing common categories of emotional well-being, the doTERRA Emotional Aromatherapy System makes emotional aromatherapy easy and accessible for anyone dealing with common negative emotions. THIS KIT INCLUDES: 5 ml bottles of Motivate™, Cheer™, Passion™, Forgive™, Console™ and Peace™ and a Petal Diffuser. KIT PRICE: $300 This kit you will save you $100 off the retail price. WHO ORDERS THIS KIT? The doTERRA Touch Kit includes nine different essential oils prediluted in a carrier oil and in a roller ball ready for safe topical application. They are perfect for on-the-go usage and for anyone looking for easy applications of oils to support both physical and emotional wellbeing. THIS KIT INCLUDES: 9ml roll-on bottles including Lavender® Touch, DigestZen® Touch, Frankincense® Touch, Tea Tree® Touch, Easy Air® Touch, On Guard® Touch, Oregano® Touch, Ice Blue® Touch, Peppermint Touch, On Guard® Beadlets, Peppermint Beadlets and Wellness Advocate™ Introductory Packet. If you are not located in Australia please contact me as some of the kit contents vary by region. When you purchase a kit you have access to wholesale membership, this means you can save 25%-50% on future orders straight up. 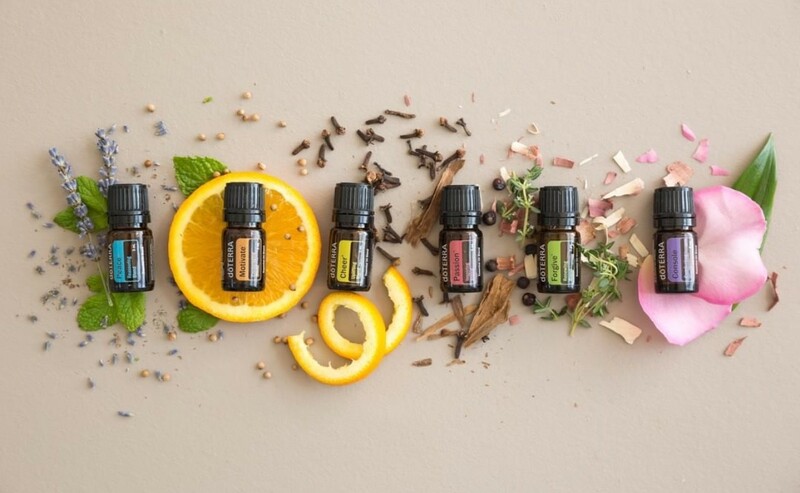 You also get invited to our community and access to resources and education so you can safely use the oils in your home and around your family. There is no monthly minimum order. Click ‘Join & Save’ in the menu up top. Another screen may show asking you if you would like Local (OTG) Order or an International (NFR) Order. Select Local (OTG) Order. 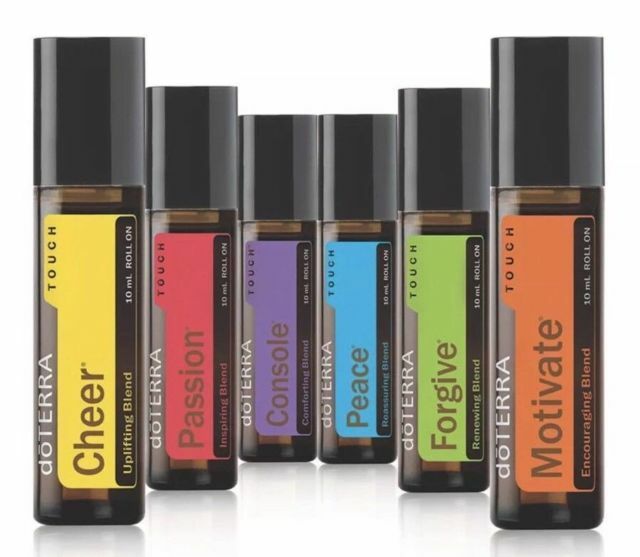 Wellness Advocate: This will give you the option (now or in the future) to earn an income sharing the oils. Some people like to choose Wellness Advocate immediately because it gives the choice or this may have come to you at the perfect time to consider starting something new. If so, I can’t wait to support you. Note: a retail customer does not receive access to facebook community or our support/education. It’s time to enter in your personal details. Leave the section marked ‘sponsor ID’ and ‘enroller ID’. It should have my number (6484081) and this means I will be your contact and support for any questions you have. As you move through the checkout you’ll see a confirmation of your registration and of your first order on the screen. 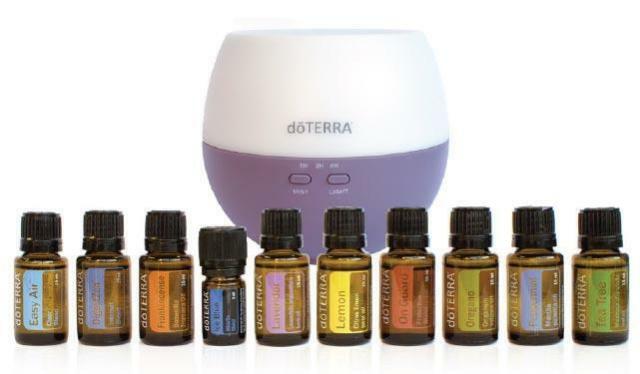 It will now ask if you would like to set up your ‘LRP’ which is DoTERRA’s Loyalty Rewards program. Your welcome email is on it’s way. I look forward to supporting you on your wellness journey!